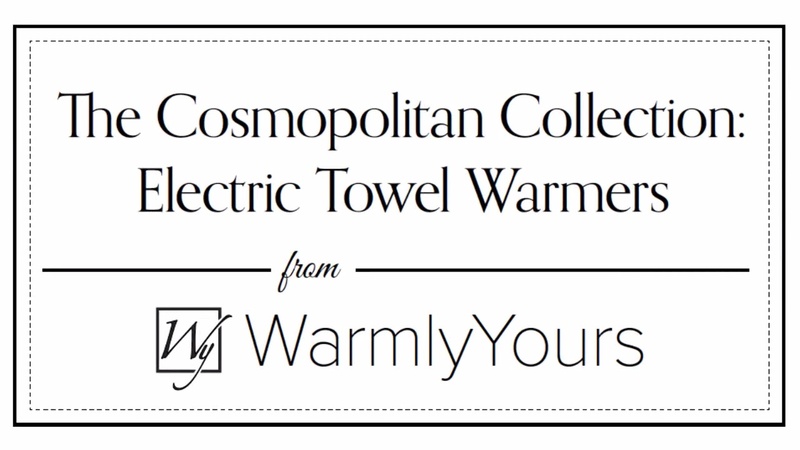 The level of functionality provided by the Milan 14 towel warmer from WarmlyYours is matched only by the elegance of its design. 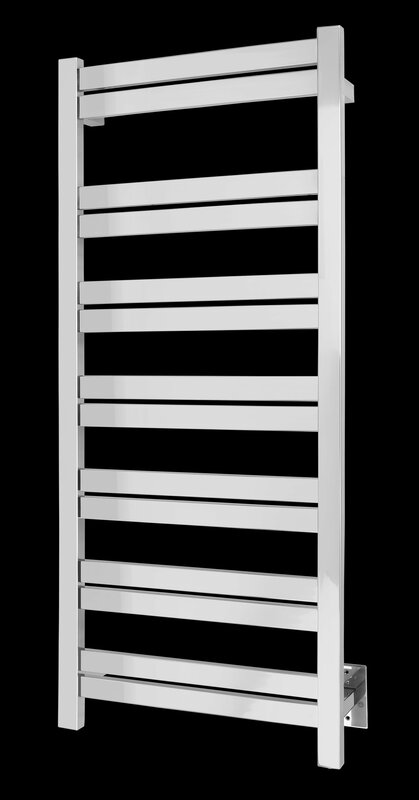 This impressive wall-mounted model boasts one of the highest heat outputs available at 734 BTUs per hour. 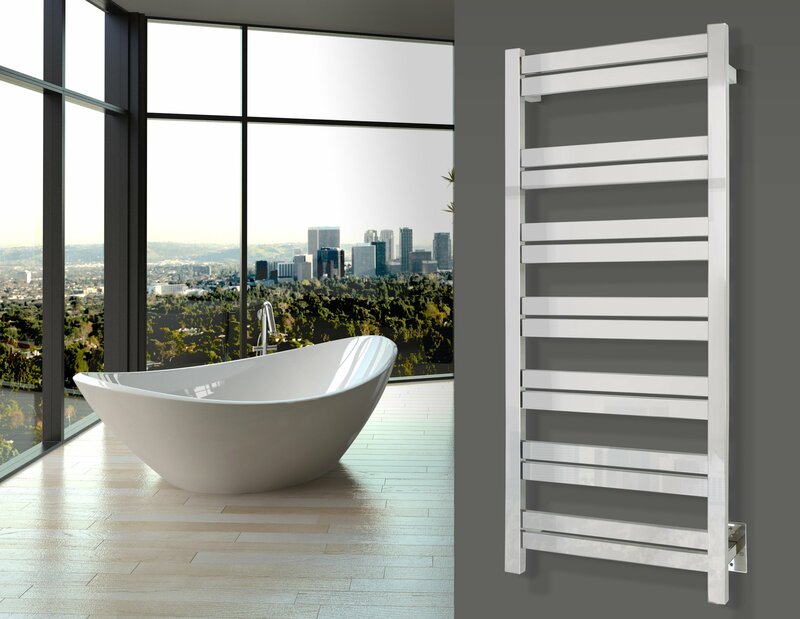 Additionally, the flat bars provide maximum surface area for expedient drying of your towels and bathrobes. The Milan 14’s design also incorporates a spacing that allows the top pair of bars to perfectly accommodate hand towels. The hardwired connection (120 VAC) means no visible wires or cords after installation. The Milan 14 comes with a highly polished finish and 304-stainless steel construction. This model comes with built-in TempSmart™ overheat protection to prevent the unit’s surface temperature from exceeding 149°F (65°C).